Mayor Filner: "I'm Not Going to Resign and Here's Why..."
Filner appeared in good spirits at the Pride Celebration on Sunday. Embattled San Diego Mayor Bob Filner released a statement Monday saying he refused to resign and demanded his right of due process. "As your elected mayor, I fully expect to be accountable to the citizens of San Diego for all of my actions. But as a citizen of this country, I also expect – and am entitled to – due process, and the opportunity to respond in a fair and impartial venue to specific allegations," Filner said in a written statement released by his spokesperson. Several high-profile supporters and members of the Democratic Party including the City Council President Todd Gloria have asked the mayor to resign in light of allegations of sexual harassment in the mayor’s office. Mayor Filner apologized for disrespecting and at times intimidating women in a videotaped statement Thursday. The group that publicly spoke about "credible" evidence of harassment said they will read statements from several alleged victims at an event Monday. In Monday's statement, Filner appointed Walt Ekard as his Interim Chief Operating Officer. “Some who have called for my resignation have justified it with the claim that the operations of the City will somehow be compromised by the current controversy,” Filner said in his statement. “Today’s announcements make clear the operations of City government will not be negatively impacted,” he said in the release. Filner has been unwilling to answer questions about the allegations. 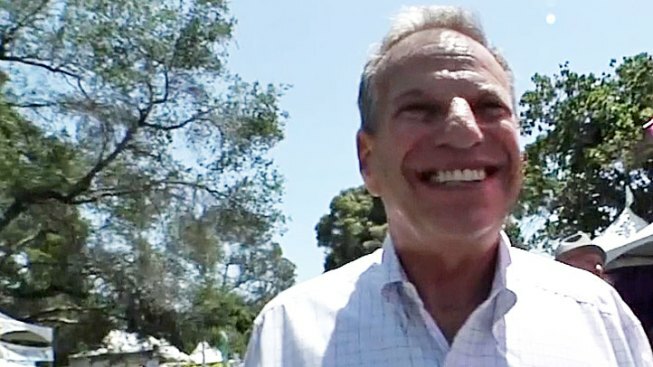 On Wednesday evening, when he was asked by an NBC 7 Investigates producer to address the allegations in several letters requesting his resignation, Mayor Filner said, "There are no allegations to respond to." On Friday, he resumed official duties without addressing the allegations to the media. Then on Sunday, Filner appeared at the 2013 San Diego LGBT Pride celebration but talked only of his supporters and the history of the event. Also Monday: in a statement to KPBS, Filner's former fiancée Bronwyn Ingram has also asked him to resign. "Bob's behavior continued to become more aggressive, standard decorum seemed to disappear," she stated. "Bob recently began texting other women sexually explicit messages and setting up dates while in my presence and within my line of vision." Ingram also said, "the mayor's office is now paralyzed, engaging only in defensive posturing and struggling to survive."